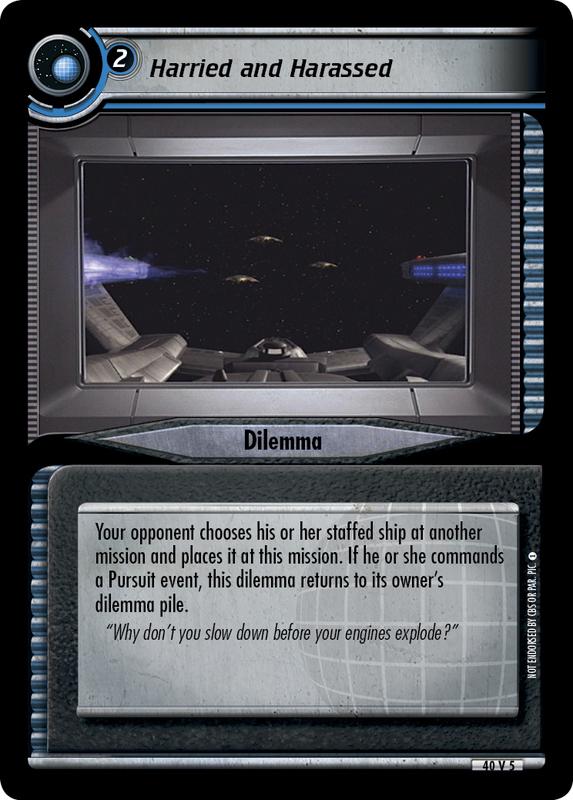 Your opponent chooses his or her staffed ship at another mission and places it at this mission. 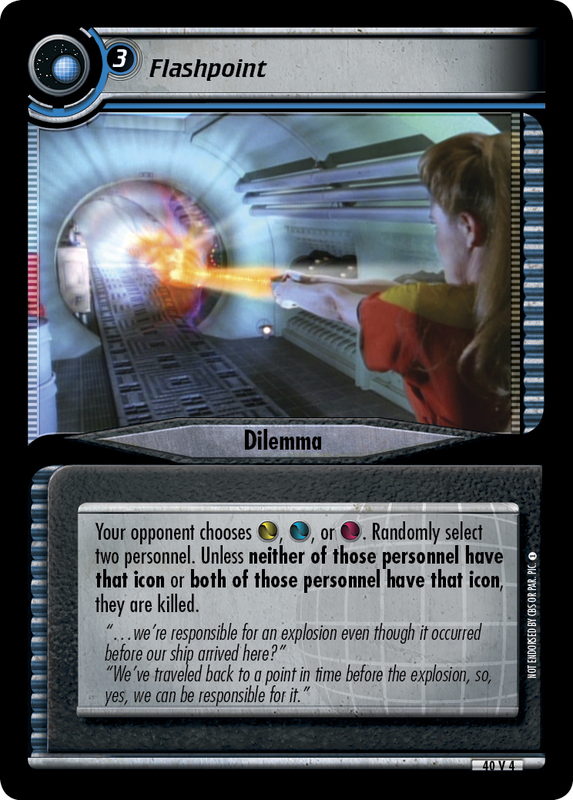 If he or she commands a Pursuit event, this dilemma returns to its owner's dilemma pile. "Why don't you slow down before your engines explode?" 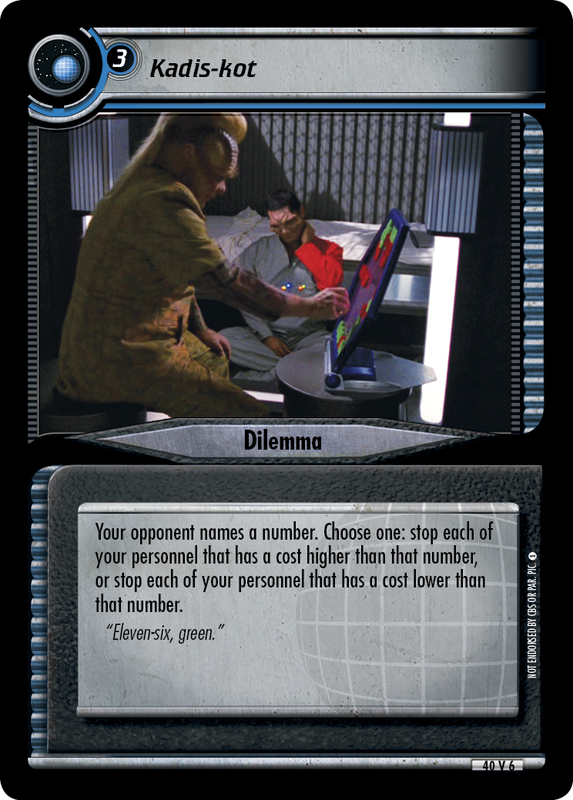 Image Source: Enterprise: "Fallen Hero"